From Walt Disney Animation Studios, Big Hero 6 quickly became a household name and family favorite to audiences everywhere! The original action-comedy-adventure about a robotics prodigy and a plus-sized inflatable robot, who develop a special bond on a quest to solve an unsettling mystery is inspired by Marvel Comics of the same name. 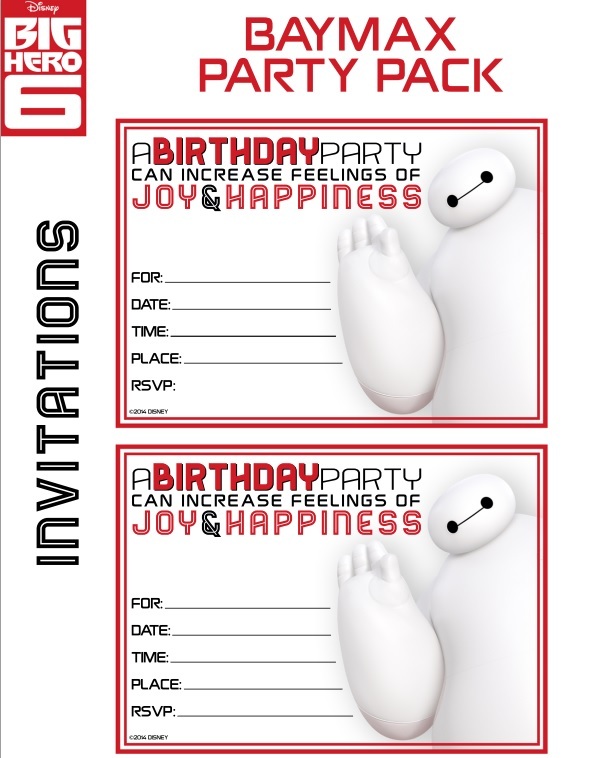 If you have a child who loves the movie and wants to have a Big Hero 6 inspired party – you are in luck with these fun party printables! Just click the pictures below to download the PDF files. movement for GoGo Tomago, a passionate student of speed. movement and posture for Fred. CHILL OUT – Wasabi, at one time, was a very Zen character with very Zen dreadlocks. everyone was just too attached to his cool locks. angle, controls were added to his teeth so animators could make adjustments as needed. 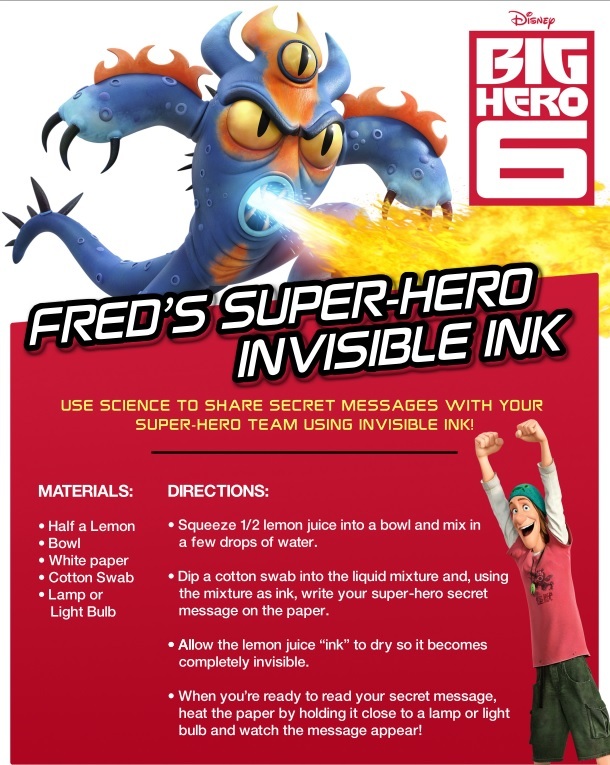 A big thanks to Walt Disney Animation for providing these printables to share! Looking for other popular party ideas? Check out The Chic Site’s Minecraft Rice Treats. They are so easy to make that the kids can join in! Well now I”m going to have to try to draw him. It doesn’t look toooo difficult! This is the kids newest and most favorite movie right now! I love that not all the printables are just for a party! 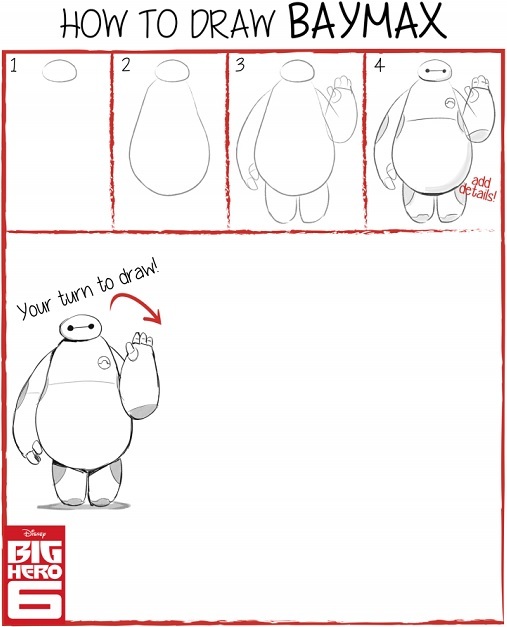 Time to learn to draw Baymax! Baymax is so cute, and I love that he is easy to draw too. These are great for learning to draw Baymax. This seems to be the cool movie! My daughter loves to draw so I know she’d love this! Thank you for these printables. They are perfect for my son’s upcoming 6th birthday party! This is EXACTLY what I needed! Thanks so much you rock!